You can’t beat a home made custard. The main ingredients in a keto custard recipe are eggs and cream, so it is basically a fat bomb. 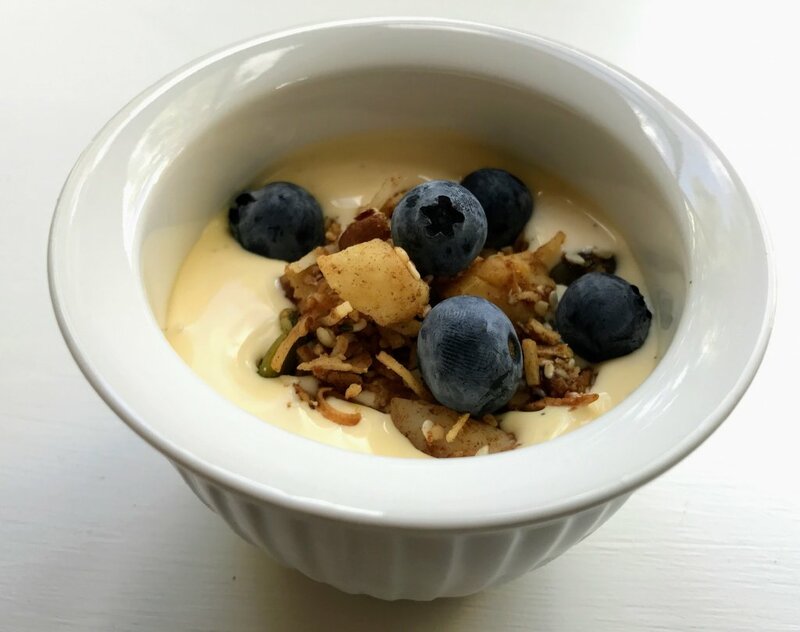 We love some of this keto custard with a couple of blueberries sprinkled on top for a snack or drizzled on top of your favourite keto dessert. When we first started out on a ketogenic diet this custard was a staple in our house. I love a serving of it after dinner for a yummy as well as super filling dessert. 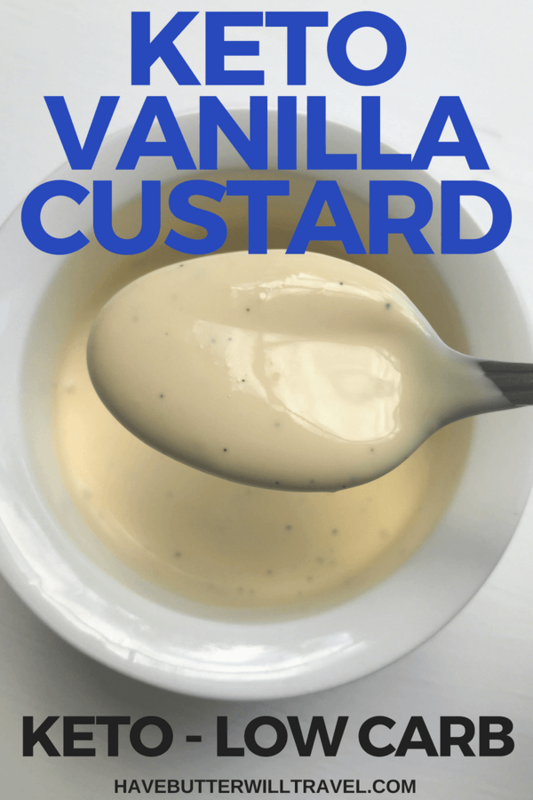 This custard is great on it’s own and can also be used in any recipe using custard like our Tropical Trifle or Raspberry Trifle. Once you get the hang of making keto custard it is pretty easy, but you do need to be careful with the heat of your cooktop. After you combine the eggs and the cream mixture and put it back on the heat you don’t want it to cook too quickly, as the eggs will scramble. Just take your time, keep it on medium low and stir away. A little bit of patience is required, but it will be worth it once you taste the end result. 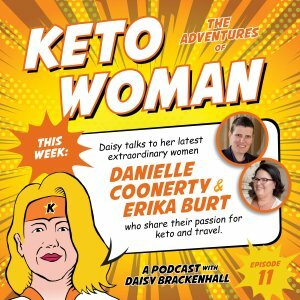 You will be left with some egg whites after you make the keto custard, so what can you do with them? Well they can be stored in the fridge for a few days and also frozen. One of my favourite ways to use them is to make some coconut macaroons. The recipe for the macaroons can be found in our tropical trifle recipe. Straight out of the bowl! Add some to your coffee – trust me on this one! 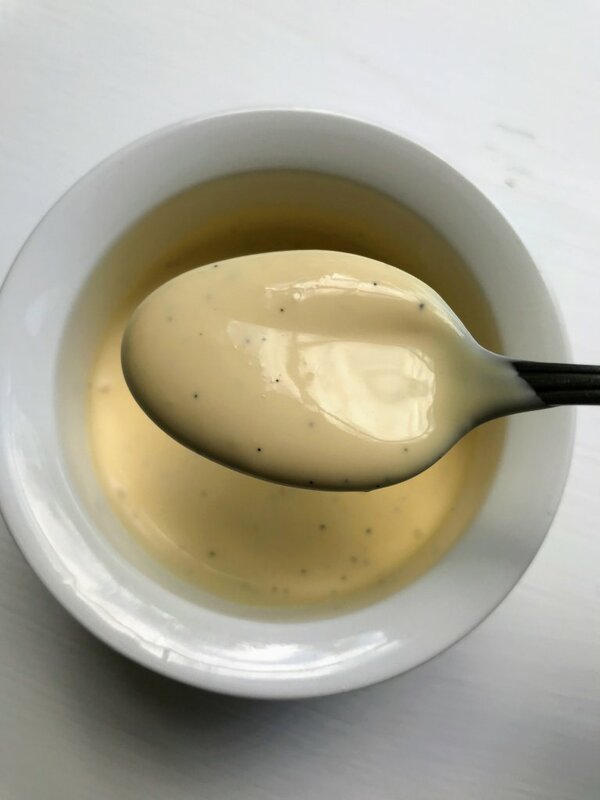 We love to use Sukrin sweeteners in our keto baking and this keto custard. 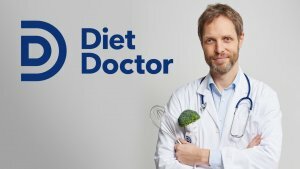 We have tried loads of the sweeteners available on the market and have found this to be the best tasting option with no bitter after taste. Our family and friends, who are not keto, love our keto baking too when it is made with Sukrin. Also, it is made with our preferred sweeteners, a combination of stevia glycosides and erythritol. 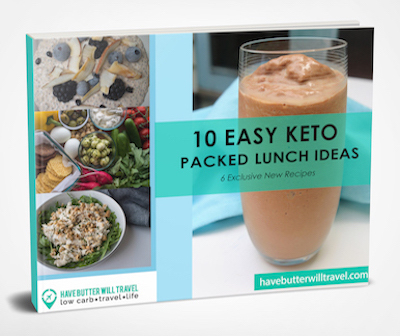 Tag @havebutterwilltravel on Instagram with your keto custard photos as we would love to see your creations! Check out other delicious dessert and sweets recipes. You can't beat homemade custard. Check out our keto custard recipe. 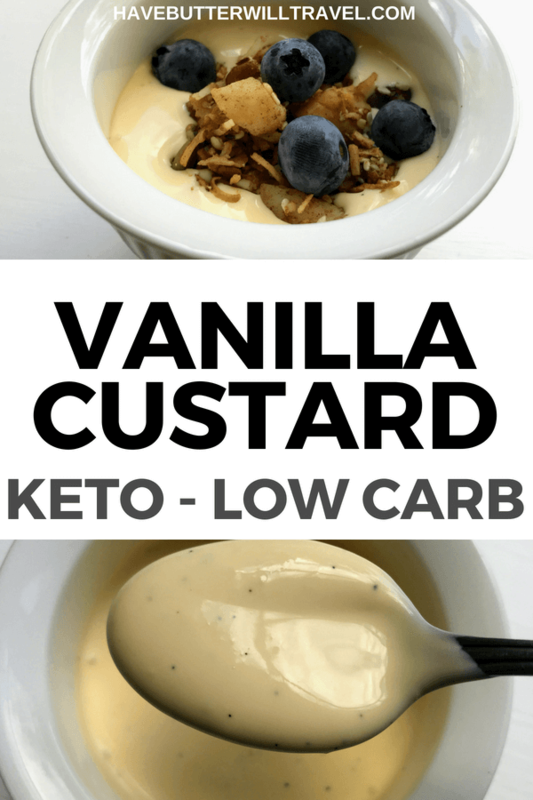 The main ingredients in Custard are eggs and cream, so it is like a keto fat bomb. Serving size 1/2 a cup. I’ve been craving custard for the longest time! This is amazing! Thanks Claudette! I am so glad you enjoyed it. We love custard too. Mine turned out curds & watery?? What happened do u think? Oh No. Possibly the eggs got cooked too quickly and ended up scrambled? It’s important that the heat is low and you stir it continuously to avoid the eggs cooking and scrambling. What would bee the best way to thicken the custard? I wanted it a little firmer for trifle. Or would it firm up in the fridge? I thought of a teaspoon of gelatin in the warm milk. What do you think? It will thicken slightly in the fridge, but it is still usually pourable. We use it as is in our trifle. You could add gelatin if you wanted it to firm up. I would bloom the powdered gelatin in a little cold water and then add it to the warm custard when I take it off the stove. Hope this helps! When I tried it looked fine until the end. It looked like it was curdling. I also saw what appeared to be separation of oil from the liquid. I aggressively re-emulsified it with a wisk and the end result was nice and smooth. I don’t know why it happened but it all turned out alright. I used 2.5 tsp of Truvia (equivalent to 2 tablespoons of sugar). My wife felt it wasn’t sweet enough but I liked it just fine. Mines doing the exact same thing! Whisking as I type Lol! Slow and low. Hope you enjoyed it!! Just paired this with a fresh strawberry/rhubarb sauce. Totally dealt with my sweet craving and allowed me to eat one of my favourite desserts. Thank you! The custard is an excellent way to satisfy that sweet craving. I love your topping too. So glad you enjoyed it. It was thicker then milk but not as thick as the pic… cooked it for a while and then thought maybe cooling it down would help so popped in the fridge but it hasn’t thickened. So maybe not so hot next time? Hmmmm ours is usually still pourable, even from the fridge. So maybe it looks thicker in the picture than it is? I made mine in thermomix. speed 4, 80 degrees for 8 minutes. perfect coated the back of a spoon not to runny, not to thick. thickens further on cooling. Try a little bit of Xanthan Gum Powder. That should work. We have never tried it. 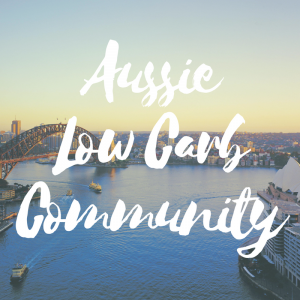 It may be a little thick, but give it a go and let us know how it turns out. I just stared Keto and this looks so good. Will let you know how it turned out. Can’t wait to make this, however before I do can you state how many servings this would make? There are 5 serves in a batch. Makes 2.5 cups and .5 of a cup is a serve. Hope this helps. Awesome. We haven’t tried that yet. Let us know how it goes. Trialling the custard recipe for the trifle, so only used half of the ingredients…luckily! Despite being on a really low temp, it split with the oily residue as described above. So, I read the feedback & took the suggestion to blend on high. This worked a treat and I have a lovely, rather thick custard…just cooling in the fridge atm, so unsure about the flavour, but smells lovely! Not sure what I did wrong, however will try again as the trifle is going to replace the pudding this year, so has to be perfect! So glad you were able to save it. Glad you enjoy our recipes. We would love to hear how you find the flavour. Hi Kylie! So glad you enjoyed it and now you can make a trifle for Christmas with it too! I just made this custard. My husband loved it. He isnt on keto but tries to support me. He misses his desserts. Custard being his favorite. He had his with sliced banana and blueberries. I just had blueberries. Thanks Paulene, we are always happy to hear we please the non keto family members. I made this recipe at Christmas time and the whole family loved it. We just made some today and had forgotten just how good it is. Just made this for Easter Dinner, mine curdled even though I tempered, so immersion blended and that took care of that mess. Had to obviously give it a taste test before putting it in the fridge, AMAZING!!!! Thank you. Perfect. Hope you enjoy it. Lucky you saved it.